I didn't start this journey for clean eating. I just wanted to lose weight so my clothes would fit, I refused to go up another size yet again. I did not want to do yet another diet or workout 7 days a week with 2 hours of cardio each day. I found this experience so much easier than I believed possible. I feel like I still eat mostly the same things, just in a different way and portions. I cut out some things that I find I don't miss anymore. Now it's not what you may think. I eat a lot of food and I do NOT deprive myself. I am not on A DIET. I am IN A LIFESTYLE! I was consistent with tracking what I ate and still am (the lifestyle part), that held me accountable, as I knew Maria was looking at it each week. With the help of my amazing coaches I gained confidence and learned what a sustainable lifestyle looks like. Yes, it took some adjusting and practice, but I found the approach effective and simple to incorporate in to a busy schedule. I also wanted to get fit, to have more energy, as I knew that would be part of the process. 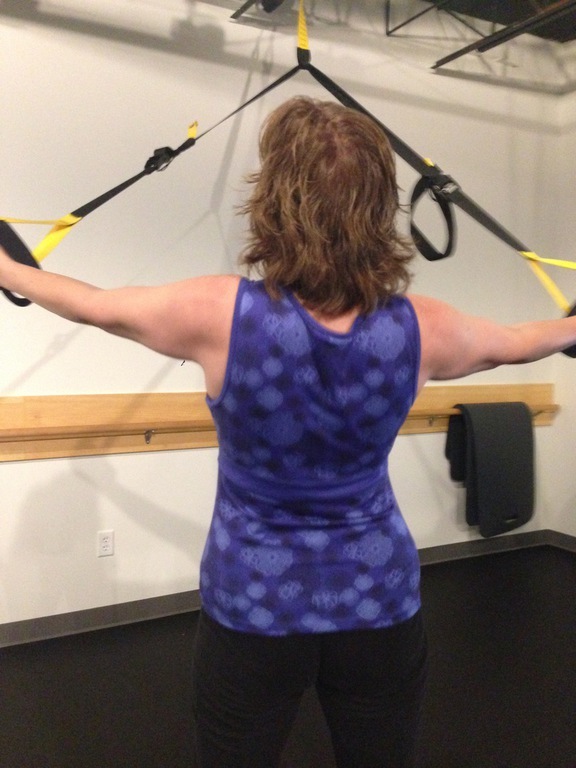 I take group classes at the studio 3-5 times per week and that has helped me get in to shape and stay ACCOUNTABLE. I love going to the studio and am so thankful for the support of the awesome community there. I can honestly say I am surprised and happy about the strength I have gained. "Maria Marques Fitness has helped me realize I can eat clean 80/20 and still lose 2 lbs in one week during the holidays :) "
You may have different GOALS and you may not want to be in a fitness competition like me but all GOALS are possible not matter how big or small. You DESERVE to reach them! I cannot wait to see what awaits! Left pic was from October/November 2015"
I approached Maria at Skinnyschool Fitness Studio because I was fast becoming “old” for my age, overweight and unfit. My amazing coaches helped me by focusing on my goals. They highlighted issues and ways to overcome them in a realistic way that fit who I am. One thing I liked was Maria’s ability to make me confident of success and showing me what a sustainable life style looks like. The result was that in less than 10 months I lost 32 pounds, dropped my BMI by more than 5%, and lost nearly 6% in body fat. I am so enthusiastic about the time and money I devote to Skinny School. I found the experience so much easier than I believed possible. I am surprised and happy about the strength I have gained. I would recommend Skinny School to people who need to stop the perpetual diet routine. The Skinny School approach is effective and simple to incorporate in to your busy schedule. Andrea Wain OTR/L, Occupational Therapist. We are so proud of Jeannie's 1st retest! Jeannie is holding a 10 pound weight showing how much she has lost! Being a Nurse is a reward becuase you can help so many people however a Nurse too can sometimes forget to take care of themselves. Jeannie has used all of our tools and has worked very hard! Be proud Derek and Jeannie on your 1st month success! When I became pregnant with my second child, I was determined to have the healthiest pregnancy I could. I had been working out with Maria for several months and shared with her my goal, as well as my fear of working out while pregnant. Maria assured me that I could still workout during pregnancy. Maria modified exercises when necessary, always checked in with me to see how I was feeling and helped to keep me motivated and feeling great! She always told me to listen to my body. Maria was awesome! The workouts helped keep my pregnancy weight gain in check and gave me more energy throughout the day (which I needed to keep up with my 2 year old!!). During pregnancy your body changes and you feel like you are in a different body. Keeping on track with my fitness helped me feel better in my own skin. Aiden was born June 21st and here I am almost 8 weeks later and I am 2lbs LESS than my pre-pregnancy weight! I am convinced it was my workouts with Maria that helped my body and core muscles recover quickly. Last year, I was struggling with my weight, it seemed that no matter how many hours I spent in the gym or how well I stuck to my diet, I just couldn’t shed the extra pounds. I met Maria and everything changed. 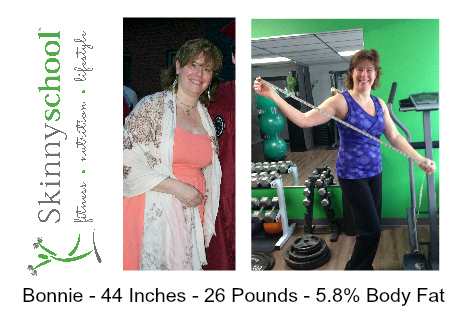 Maria developed a program of exercise and nutrition that helped me lose fat and become stronger while following a nutrition plan full of pure non-processed food. I now feel so much better and ready to take on any challenge. 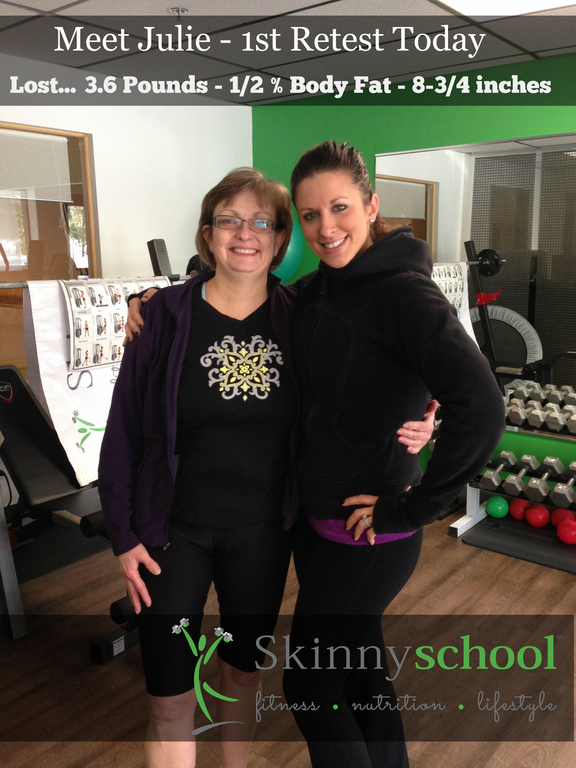 I’m really looking forward to continuing my work with Maria in the new Skinny School facility to reach my lifelong goals of health and fitness. "By working out with Maria over the last 6 months, I'm in better shape at 62 years old than I have been for the last 30 years! I have more endurance, have muscle definition, and have been more successful at the sport I compete in, canine agility. 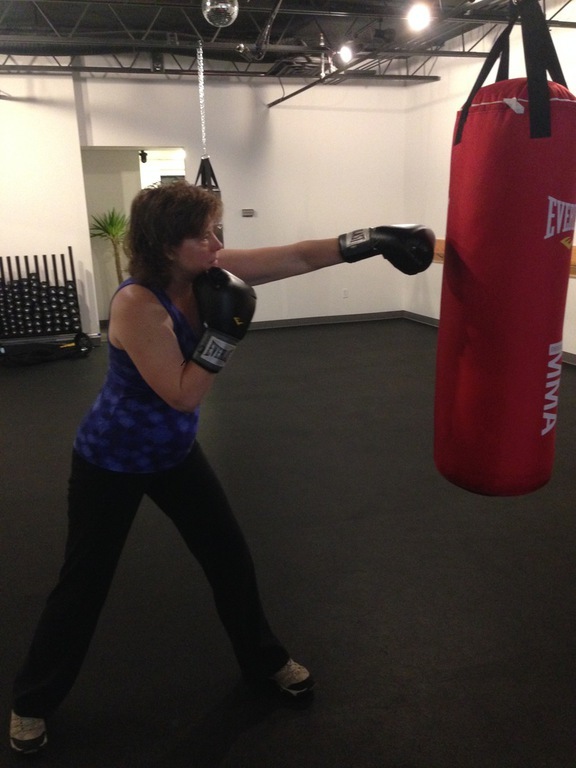 In class and in personal training, Maria mixes up the workouts so they never get boring, and she shows me how to work several body areas with one exercise. Her nutritional advice, including having a protein shake immediately after working out, makes me feel great and reduces hunger. 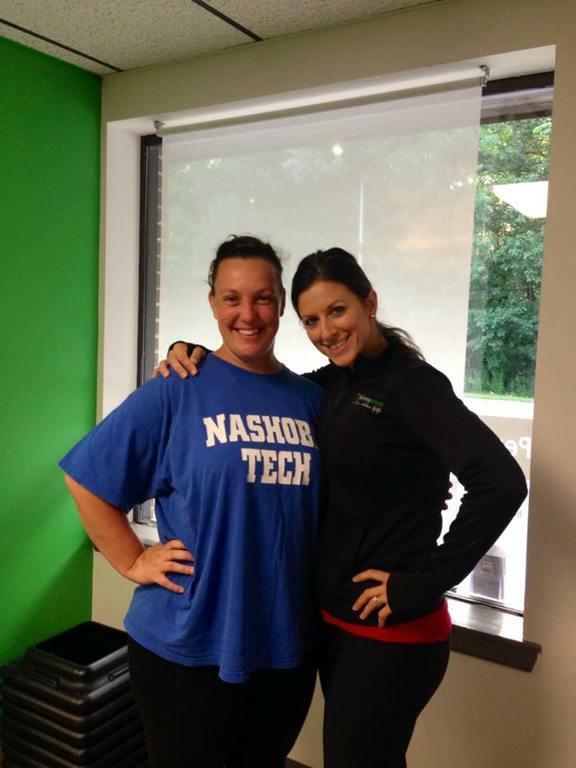 Maria is a force of nature, and I'm SO glad she's been my personal trainer! More Good news - lost 2 pounds over 3 weeks, just weighed myself this morning! 132.8 lbs"
There are 3 decisions that I have made to start to improve my physical strength and health. 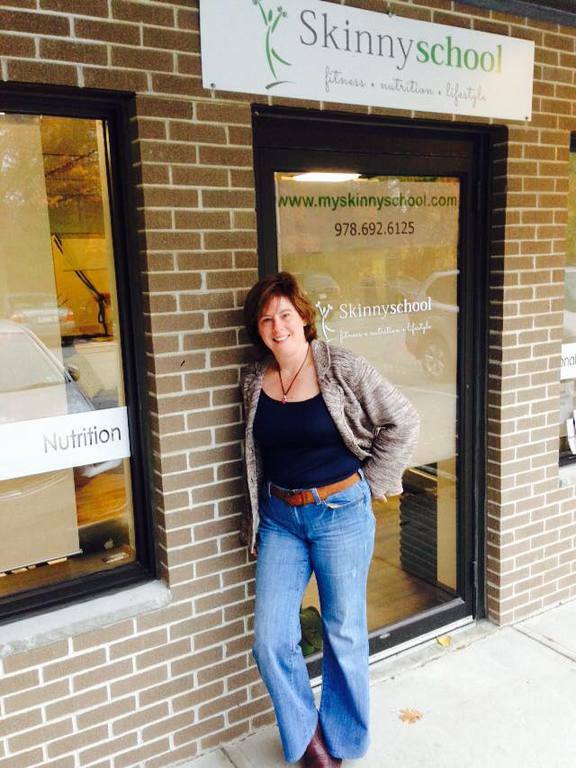 They were joining a fitness center, purchasing personal training sessions and getting a good trainer. The first 2 decisions are basic to start any good health program but one needs to maximize the benefits from this effort by having a trainer that can effectively provide the correct instructions and techniques. 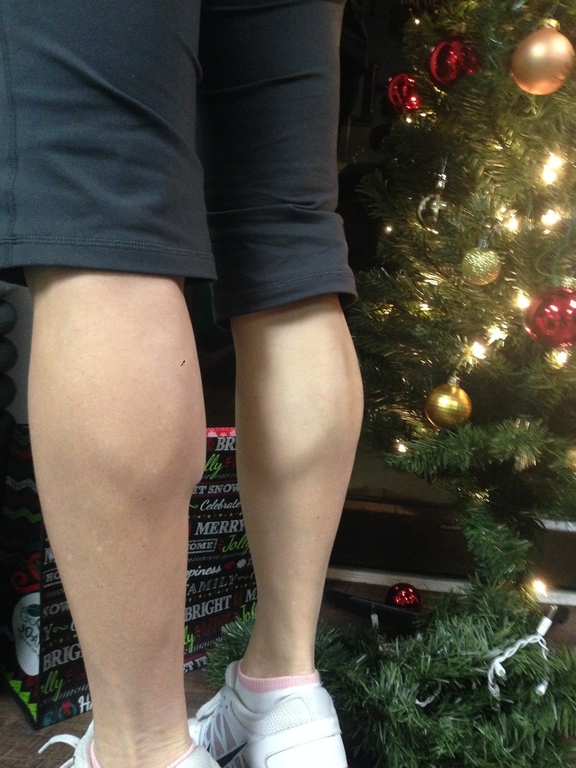 Maria, you are such a trainer. From my perspective, what makes you an excellent trainer is your comprehensive approach to training and your diverse knowledge in nutrition that you freely share with your clients. What I valued was your breath of knowledge on how to exercise. When I had difficulty in being able to perform a new exercise, you had several alternate approaches that I could do that provided the same benefit. Additionally, the fitness center has lots of impressive looking exercise equipment but you showed me how to do most of that training without them. Per your words “you always carry your own gym with you”. Basically it is the value and use of your own body weight to exercise when being in a gym is not available. Anyone serious in getting to a better health level knows that nutrition plays an equally important role to exercise to achieve that goal. Again what makes you an excellent trainer is your knowledge in this area. You make it all fit together so nicely. After 4 months, I am well on my way to achieving my fitness and health goals. This is largely due to your holistic approach to fitness and your genuine caring to help me accomplish this. In closing, many thanks and best of luck in your new venture. 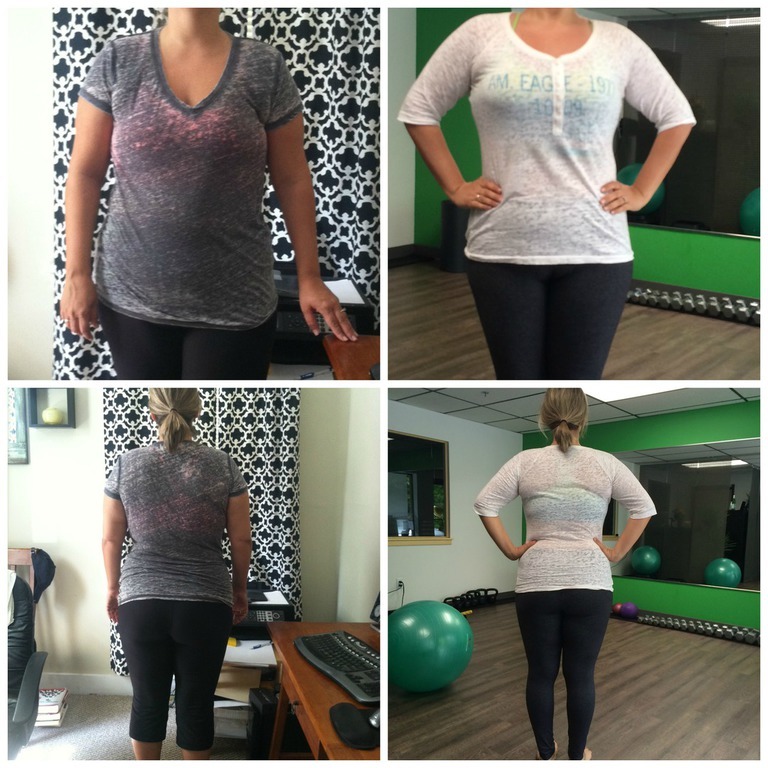 Victory Report: Since 2 months ago today, when I was just getting started with Maria from Skinnyschool, I've dropped 21 pounds! It's been done simply by improving my diet and maintaining my regular exercise schedule. No fads, no pills, no earth-shaking life changes, just following your common-sense nutritional advice. The Dirty Little Secret - Your Services Are Free: OK, it's not a dirty little secret, it's a GREAT secret that everyone concerned about cost should know. Going into this I knew I would be committing to expenditures of both time and money. But they aren't expenditures, they are investments because sensible investments provide returns. With your food shopping advice my grocery bills have dropped significantly, so significantly that in short order your services will have paid for themselves and over time the savings will actually have me coming out ahead. Regarding the expense of time, with the improved diet and weight reduction my energy level is much higher and I accomplish far more each day. The return on our weekly 1-hour sessions is already greater than what I put into it. I Feel Great: Best of all, I just feel much better every day. My energy is up, I'm noticeably more agile, my thinking is sharper and my clothes are a lot more comfortable than they used to be. THANK YOU for your advice on diet and nutrition, your energy, the recipes, your enthusiasm, the meal prep session, your encouragement... for everything. 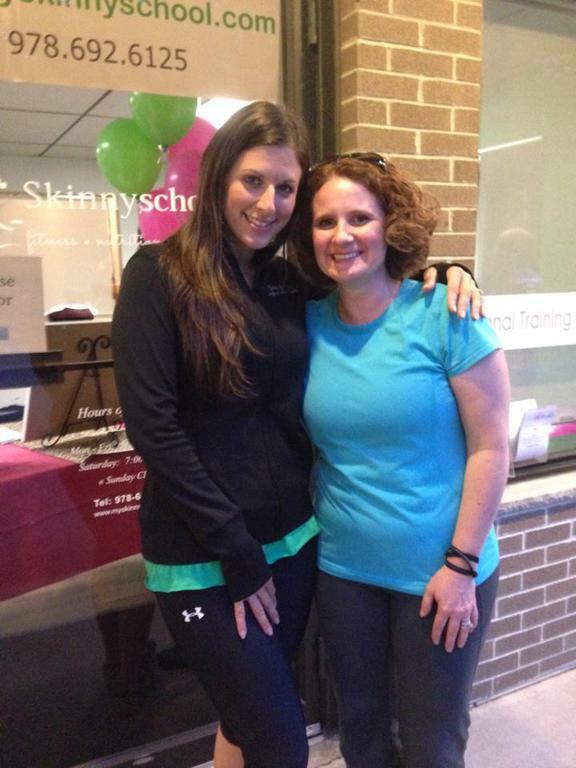 Anyone serious about a healthier life should be a Skinnyschool client! P.S. Do you have a magic wand that I don't know about?